Say goodbye to those harsh skin exfoliators that leave rashes on your skin. The chemicals present in such products often make your skin sensitive and the situation annoying for you. Revitol skin exfoliator cream removes the dead skin in the most appropriate manner. It gently and safely reveals the healthy skin from beneath without giving you any irritation. Now you can get healthy and young looking skin within few weeks with Revitol skin exfoliator. Just apply the cream evenly, massage it with soft hands and wash it off after a few minutes to get the skin you have always wanted. The best exfoliator is a skincare product that has the ability to make your skin smooth, even and elastic. 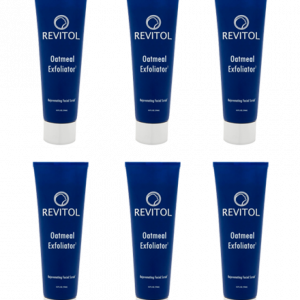 Revitol Oatmeal Exfoliator Cream does all this and with such finesse that you will forget the irregularities that were present on it once. 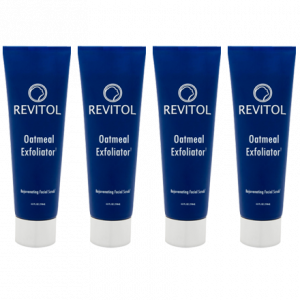 Revitol oatmeal exfoliator doesn’t claim to make you younger or more beautiful, but it promises to reveal the hidden beauty that is somehow getting marred with those signs that appear due to the dead skin piling up on your otherwise beautiful skin. Revitol skin exfoliator not only sloughs off the ugly skin cells but is also specially designed for oily and acne-prone skin. Oatmeal has components such as glycolic acid, lactic acid, and alpha-hydroxy complexes, which are potentially effective ingredients for revitalizing the skin.